Looking down at your phone may cause a sensation to run down your spine. The same thing happens when you are sitting on your desk and working constantly. Sitting at a desk for long working hours, head tilted, a bad posture, all are responsible for neck and back pain. When this pain is there in your body for a long time, you may suffer from a permanent muscle injury. This ailment is often referred to as tech neck or text neck, and when ignored can be severe. The pain management doctors in OKC have a guideline for people who are bound to working sitting at the same place for long periods of time. The Screen Position - Keep the screen in a higher position, it is best to keep it at eye level. If not, at least, try keep it as near as possible to it. This will help to avoid the head tilting forward or bending of the neck. Sometimes our arms get tired and strained due to the position. You can buy a holder to rest your arms on. You can also use your tabletop or any other prop to keep your arms in a comfortable position. If you are working on a laptop, try to keep use a second monitor. 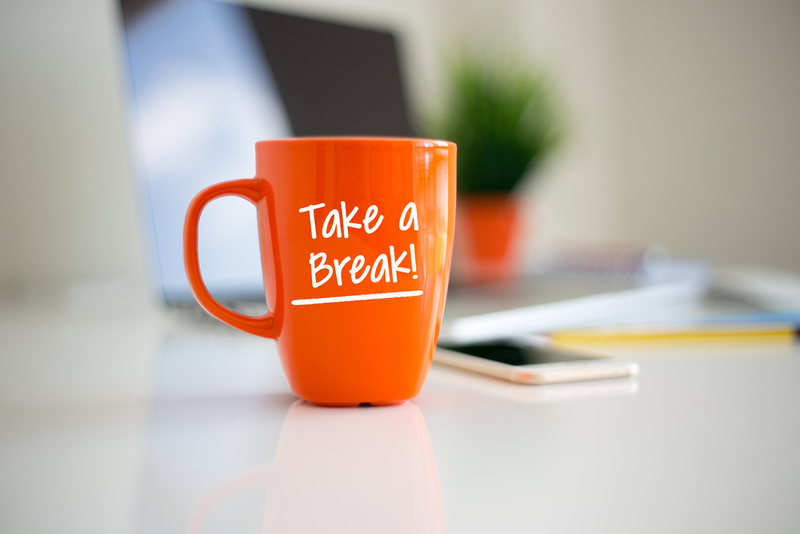 Take a Break - Take breaks, even if there is huge pressure to work. Do not sit at a desk for more than half an hour. After each half hour, take a break of two to three minutes, stand up and move around. It will relax your muscles, remove stress from muscles and regulate better blood flow. You can also try a few stretches that can be done sitting at the desk or in your office. Ask your pain management doctors in OKC for such exercises. Headrest - An ergonomic chair, with a headrest, can help you to avoid incorrect posture, thus, avoid neck and back pain. Switch your chair with one that has a headrest and rest your head on the headrest when you are looking at the screen. Exercise - Muscle imbalance is the primary reason for pain development in the body, especially, when you have a history of sitting in an end-forwarded position for a long periods. Therefore, you should try to complete a few exercises regularly to keep yourself fit. It is also good for muscle strength. Especially concentrate on the neck, chest and upper back muscles. When these muscles are in good shape, you will get support for your head and less strain on your cervical spine. Pain Is Alarming - You are doing yourself harm if you ignore a pain in your body. A momentary pain can be healed by ointment or spray, but when it is there in a particular body part for quite a long time, it needs to be diagnosed by pain management doctors in OKC. They can assist with treatment, especially when you have achy shoulder blades, numbed arms, etc. Come to our pain management doctors in OKC at Longevity Regenerative Institute. We have qualified health professionals to help with all your painful ailments.